Mikey is shopping for a new Honda. He views new and used Honda inventory online, gets a quote, and schedules a test drive. All from the comfort of home in his Snuggie. Silko Honda in Raynham, MA. Go Silko! Sell your car or trade your car towards a new one. 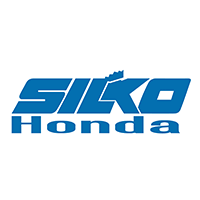 Silko Honda will buy your car even if you don’t buy from us. Silko Honda in Raynham, MA. Go Silko! Test drive a new Honda or test drive a used car – Schedule your test drive online to save time. Silko Honda in Raynham, MA. Go Silko! Get free oil changes at Silko Honda. Every new Honda comes with a free lifetime warranty, buy one get one free oil changes, and free car washes. No string attached. That’s SilkoCare Plus from Silko Honda in Raynham, MA. Go Silko.